Attached below is a 1907 article from Harper’s magazine titled “The Cruise of the Caribbee” written by Thomas Briggs of Robbinston. Don’t let the term “cruise” fool you- this was no island hopping vacation in the islands and while a lot of rum was probably consumed on the “cruise” none of it was in the form of fancy mixed drinks. The Caribbee was a slaver, the fastest ship of the day and built at the bottom of South Street in Calais by William and Owen Hinds in 1852. Its one and only “cruise” was to Africa but the cruelty and heinous conduct of its owners and crew were legendary even by the standards of the slave trade. The 1854 map of Calais shows the bottom of South street when the Caribbee, originally named the Arabian, was built. Barker Street was then Centre Street and the shipyard was then Porter’s but the Hinds family managed the yard. They were master shipbuilders and had gained a reputation for building the fastest ships on the ocean. The Caribbee was built to order for a New York merchant and its short and abominable history is worth reading. The Hinds family denied they knew the ship was destined to be a slaver but there were always suspicions given the unusual specifications demanded by the buyer. 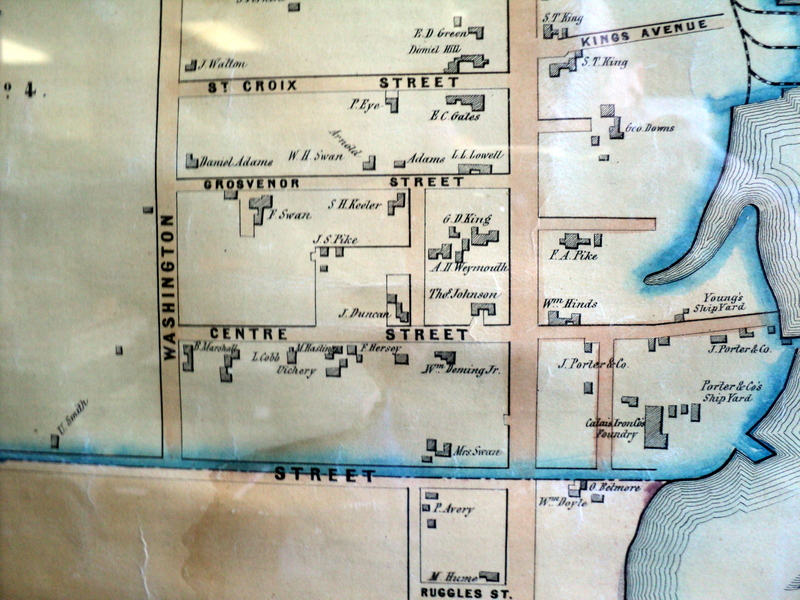 If you look closely at the 1852 map you will notice that master shipbuilder William Hinds lived in the house at the corner of Barker and Main Streets. He probably built the house in the 1840’s. 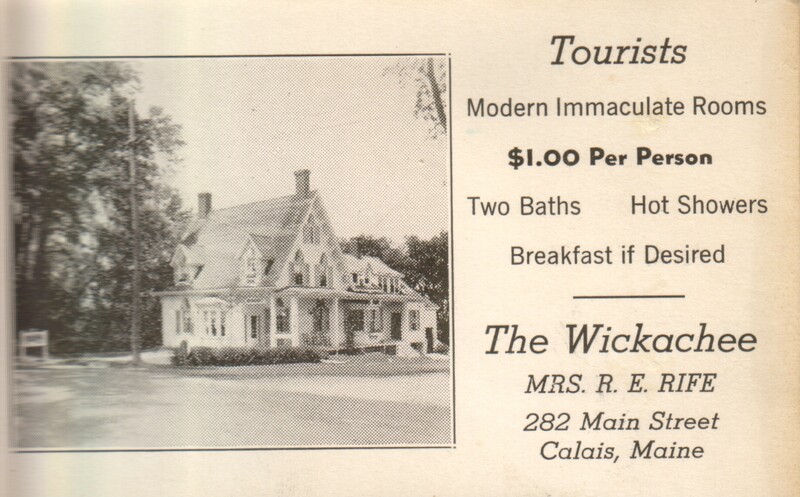 and, later still, the Wickachee Restaurant was added and remains in business to this day. The Calais Advertiser reported the death of Thomas Vose Briggs, son of Joshua and Mary Vose Briggs. He was born in Robbinston on November 17, 1817, a union of the Briggs and Vose families, two of Robbinston’s earliest. In 1841 he married Elizabeth R.M. Brewer connecting with the John Brewer family, another of the early settlers. In the early 1800’s there were only a handful of families in the town and the connections by marriage between these families is a genealogist nightmare, especially as each generation recycled all the names, male and female, of the previous generation. Thomas Vose Briggs was a writer of verse and songwriter of some note and instructed in music in Calais where he kept his compositions. All were destroyed in the great Calais fire of 1870. 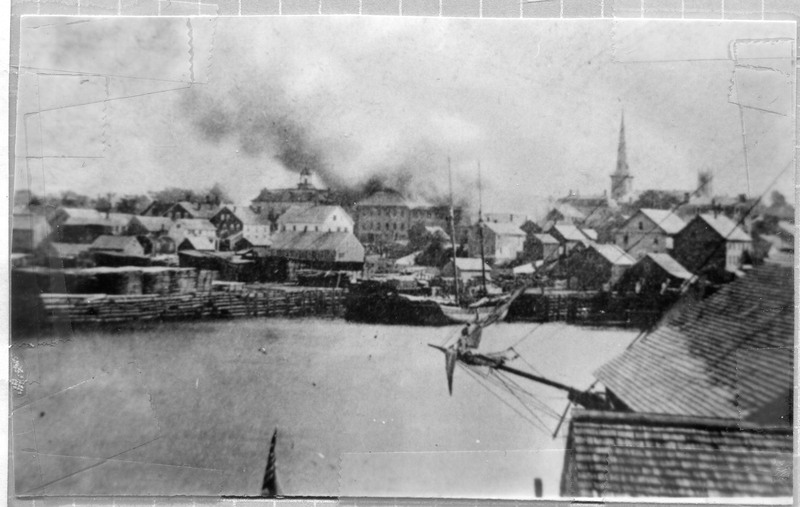 The photo above shows the beginning of the Great Fire of 1870. 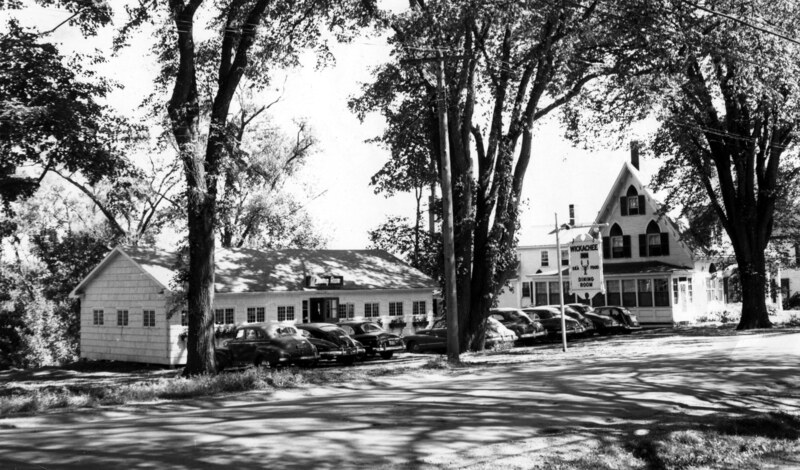 The building which is ablaze was a large wooden building located on the site of the brick block which is now the site of the Schooner and Karen’s Diner. 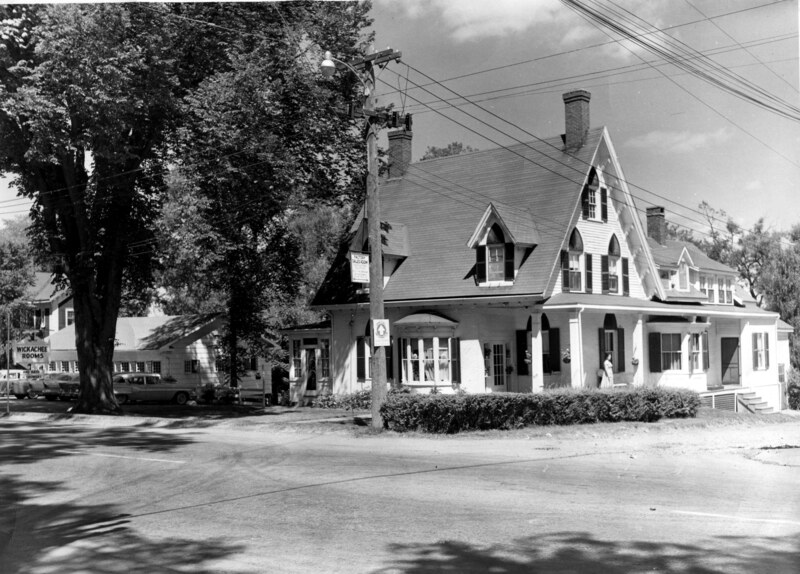 It was in this building that Briggs had his studio and all of his manuscripts and sheet music.In addition to writing prose, verse and music Briggs was a surveyor and ran a dry goods store in Robbinston before moving to Calais to take up writing full time. 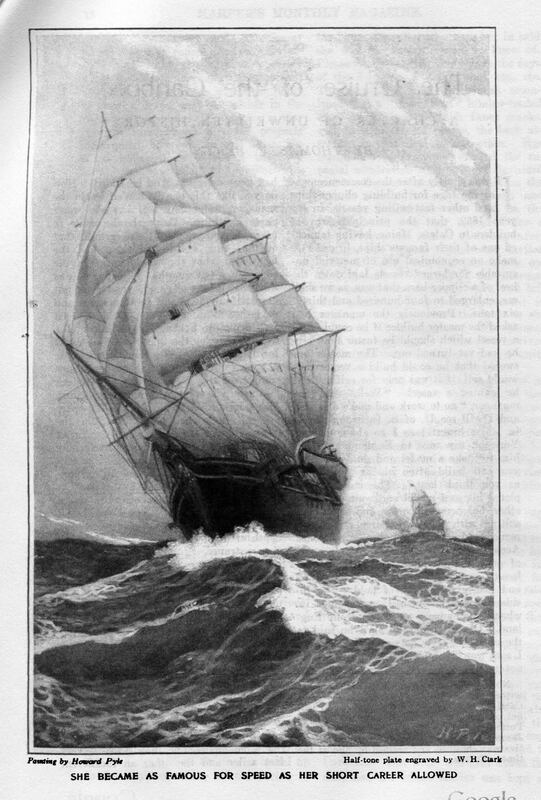 His father, Joshua Briggs was one of Robbinston’s most famous shipbuilders so Thomas was intimately familiar with the ships and those who sailed the seven seas. It appears he wrote the Caribbee article very late in life.